This reef is in front of Chankanaab Park. Mild currents and shallow depth make this a good Cozumel Underwater Diving for novices. Generally the current will run from North to South, sometimes picking up the cool fresh water from the Chankanaab lagoon. The visibility is not as good as other dive sites. It is sandy with small coral heads. 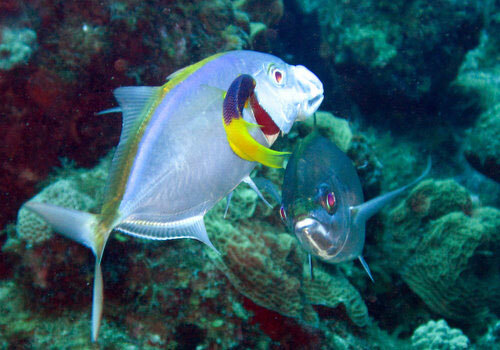 This is one of the Cozumel Dive Trips that can be done from the shore. Near and under the coral heads you can find Spiny lobster, crabs, Spotted Moray eels, and Grunts and Snappers. You'll see some Lionfish also. 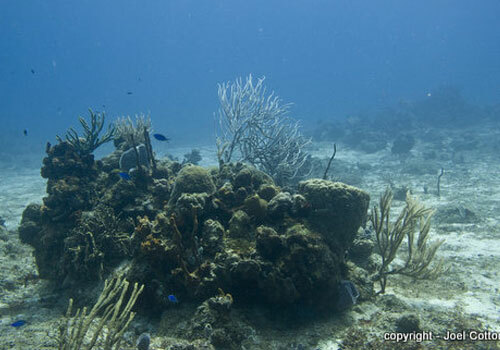 Enjoy your Cozumel Chankanaab Reef with Coral Reef Guide. 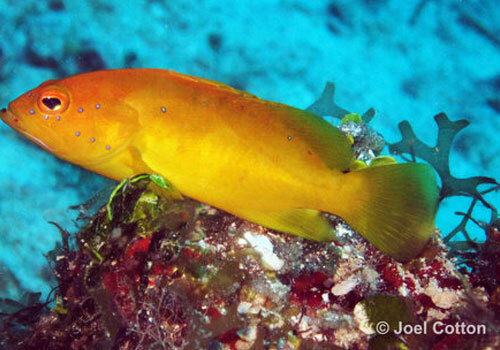 Look for cleaning stations where juvenile Spanish Hogfish and juvenile French Angels clean Bar Jacks and Groupers. 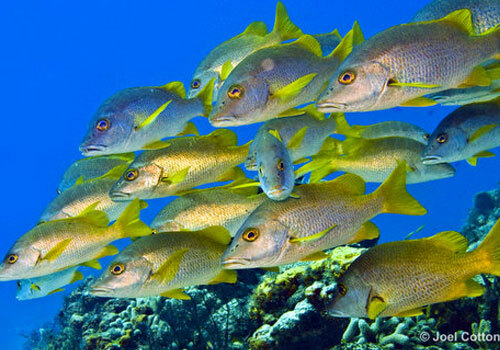 On any Reefs of Cozumel you can see any fish or animal at a given time. Below is a general guide.